Though smaller than expected, it still poses a major problem, researchers say. 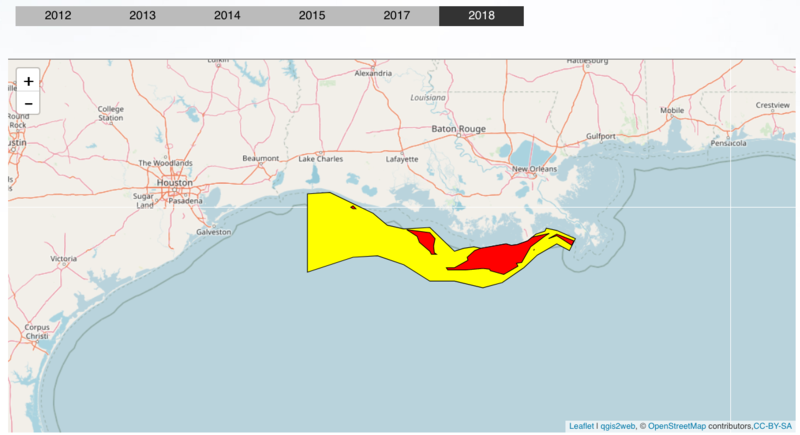 This summer’s Gulf of Mexico dead zone, an area of low to no oxygen that can kill fish and other marine life, spans 2,720 square miles off the Louisiana and Texas coasts, researchers estimate. 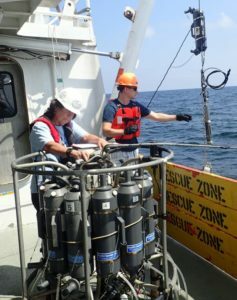 About the size of Delaware, the dead zone is the fourth-smallest since researchers began measuring it in 1985, the National Oceanic and Atmospheric Administration said Tuesday. 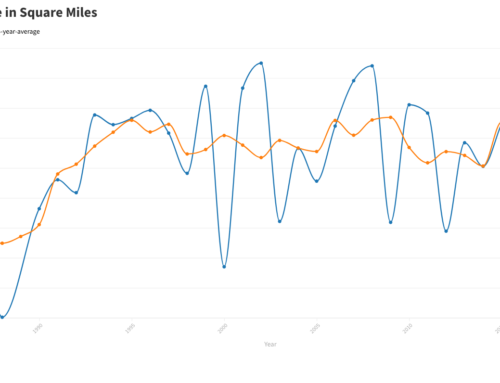 It is smaller than the 5,780 square miles the agency forecast in June and roughly half the size of its five-year average. 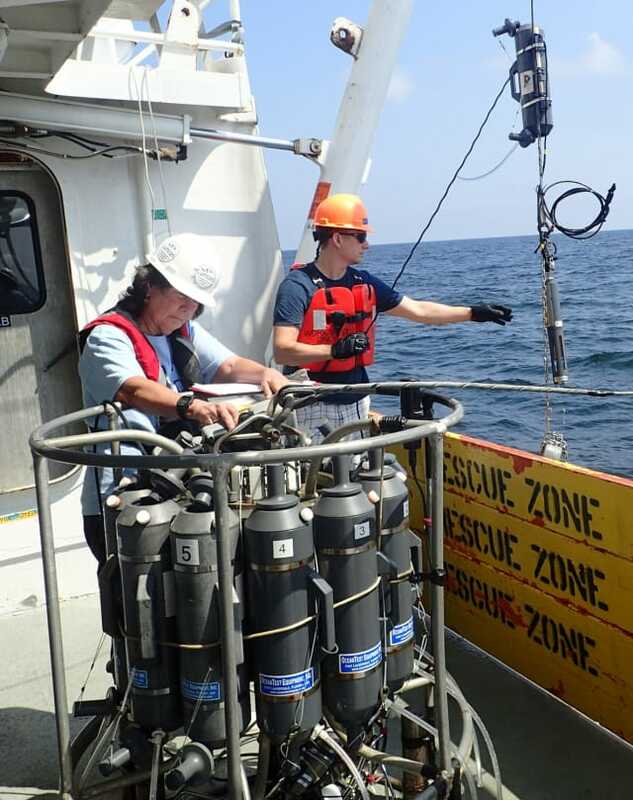 A team of researchers collected the data during a five-day trip that ended Saturday aboard the LUMCON research boat the Pelican. 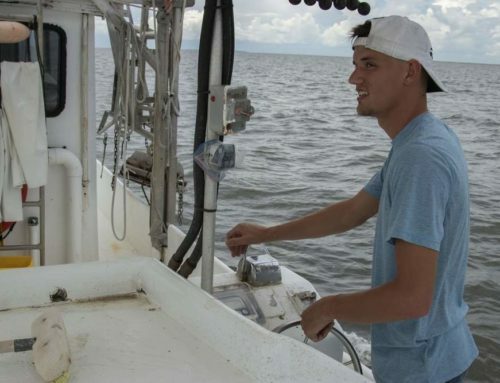 “Persistent winds from the west and northwest in the few weeks preceding the cruise likely pushed the low oxygen water mass to the east and piled it toward the central shelf and toward Grand Isle,” said lead researcher Nancy Rabalais, a scientist at the Louisiana Universities Marine Consortium in Cocodrie. Wind and waves at the beginning of the cruise likely mixed oxygen into shallower waters, she said in a news release. 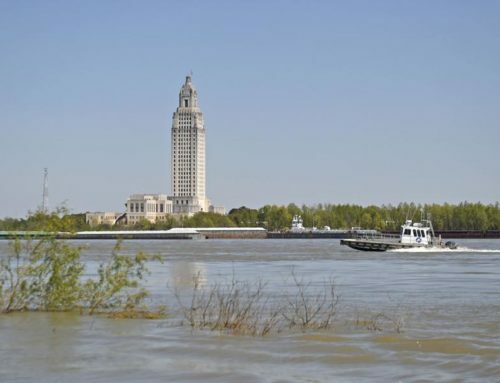 “This resulted in an unexpectedly small dead zone,” Rabalais added. 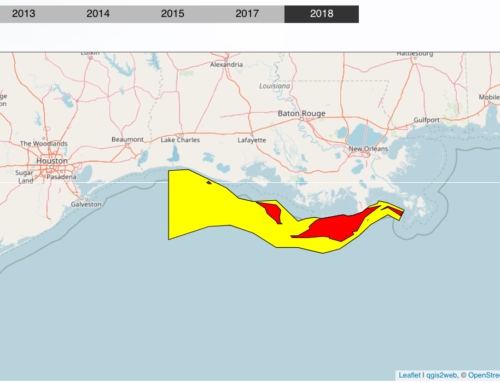 Rabalais and other scientists who have researched the dead zone for years note that the latest size estimate is still greater than the goal set by a task force assigned with addressing the problem. 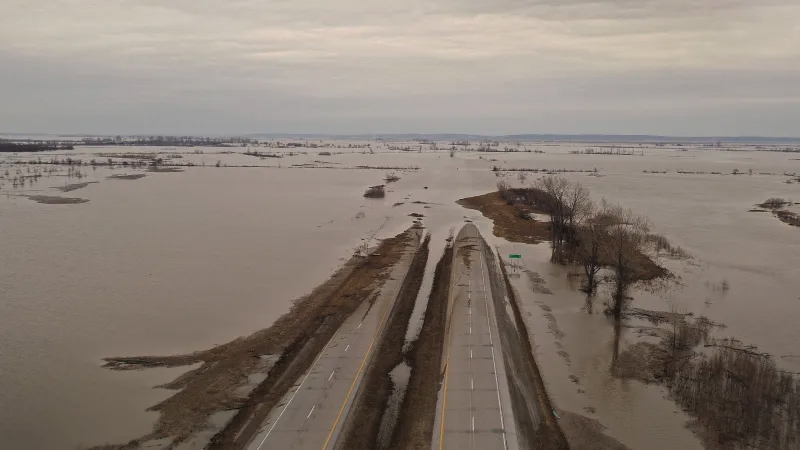 In February 2015, the Mississippi River-Gulf of Mexico Watershed Nutrient Task Force, a coalition of federal, state and tribal agencies, pushed to 2035 the goal of reducing the dead zone to 1,950 square miles. The panel originally set the goal in 2001. 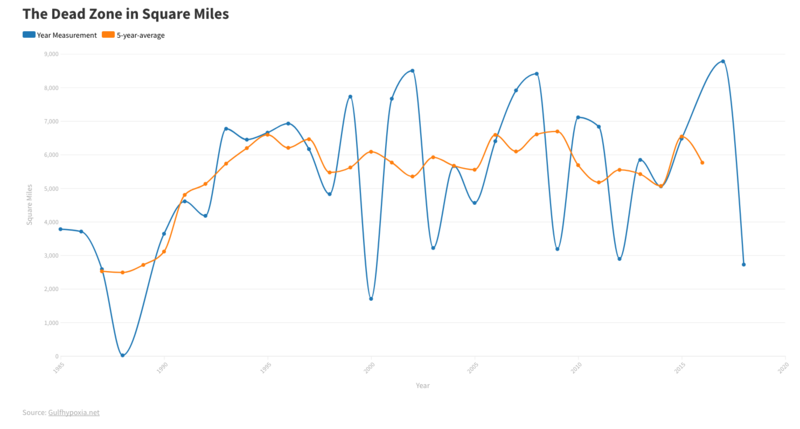 River concentrations of the nitrogen compound nitrate have not declined since the 1980s, though federal taxpayers have spent more than $28 billion in the 20 Mississippi Basin states since 1995 to reduce the pollution. The Gulf Restoration Network has long contended the task force has dragged its feet. 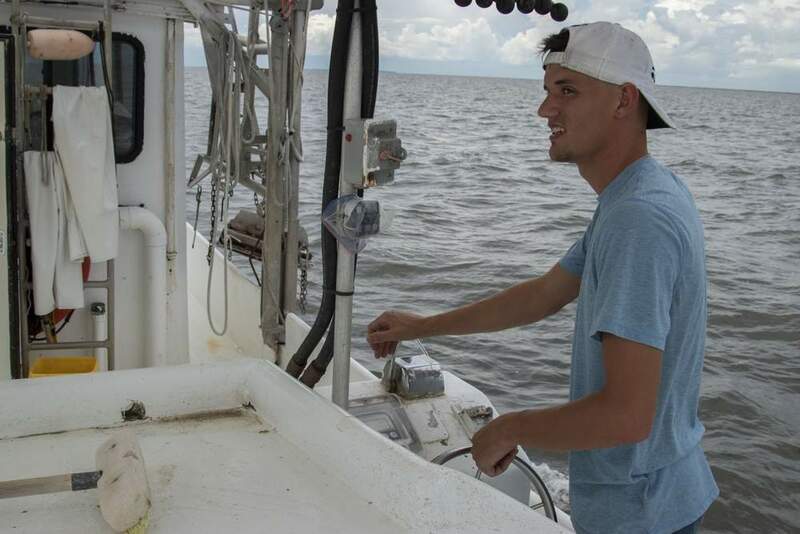 Despite 32 years of data documenting the Gulf dead zone, the state’s latest Water Quality Inventory report claims there are no dissolved oxygen problems off Terrebonne Parish, said Matt Rota, the environmental group’s senior policy director. 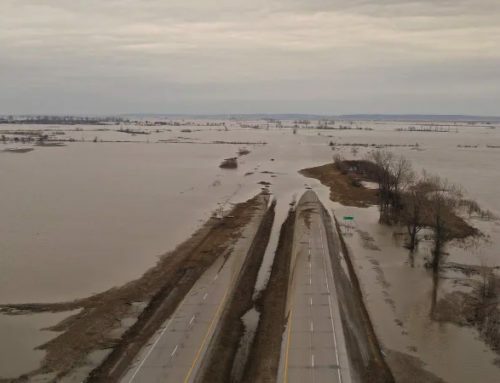 In the same report, the state Department of Environmental Quality claims other portions of the dead zone may be due to “natural conditions” despite scientific consensus of the human-caused sources.